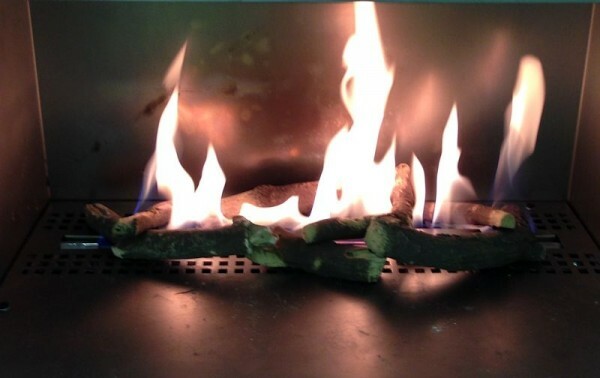 The FR520 Ribbon Flame Gas Burner is part of our Spirit range of gas burner trays hand made in the UK. The gas burner has a dancing ribbon of flame. 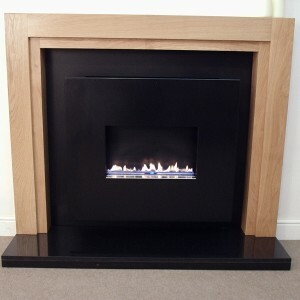 The FR520 gas burner has brushed stainless shelves and a clean ribbon of flame however logs or pebbles can be added if required. The fire is operated by an RF remote system with a handset. The remote is programmable and includes a thermostat to control room temperature. The FR520 is CE approved for Natural Gas and is available for all European Countries. 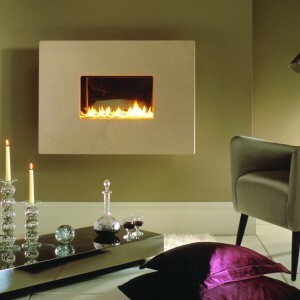 The fire can be used with any existing chimney, precast flue or with a 125mm flue liner. No air vent is required. See technical drawings. 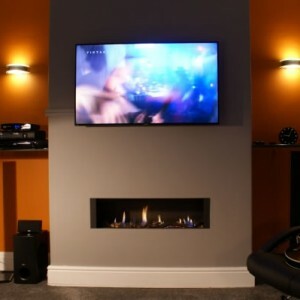 To discuss installation requirements call sales on 01325-301020. BURNER: The gas burner is currently only available for natural gas. DIMENSIONS: See the technical PDF specification. ENCLOSURE: We are supplying only the gas burner. 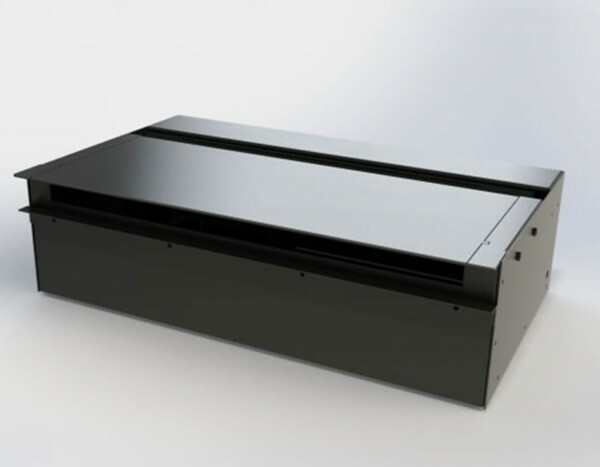 The final enclosure and fireplace design must comply with the CE approval as shown in the install booklet. Read the technical specification in detail and request a copy of the install booklet. VENTILATION: If the fireplace is designed inline with the CE approval for the gas burner no room ventilation will be required. GATHER: There is an optional gather available – see checkout options. CHIMNEY or FLUE SYSTEM: The minimum requirement is a 125mm x 3m length flue liner; the fire can also be fitted into a class1, class 2 or precast chimney with a minimum length of 3m. There is an optional gather available to join the enclosure to a flue liner. This must be ordered with the fire and must be used if a flue liner is being used. PIPE WORK: The fire has a power rating of 5.7kw and requires an 8mm gas inlet. The flow rate on full is 0.7m3 per hour, the pipework to the fire must be capable of supplying a steady inlet pressure and should be routed using at least 22mm pipes reducing to 8mm at the fire. The pipework should be routed to ensure no pressure drop when other gas appliances in the home are being used.